Create, edit and view Microsoft® Office files including Word, Excel and PowerPoint. Also transfer PDF and ePub files to NOOKcolor and JPG photos for your own personalized wallpaper. So, which one wins in my opinion? You guessed it (especially if you read the first post on The eReaders Wars)….the NOOKColor! 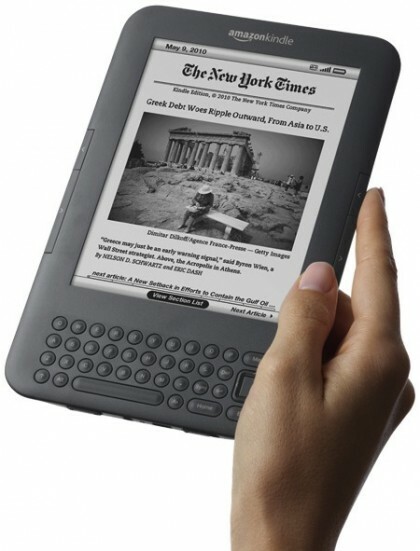 NOOKColor is modern, sleek, and overall the most impressive eReader out there for 2010 and probably for 2011, too. 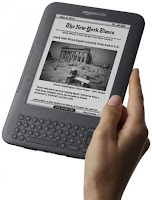 It is easily the new leader of the eReader market, in my opinion. 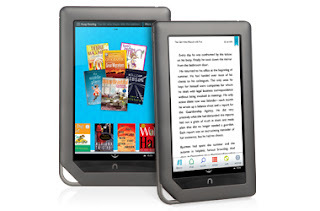 Obviously Barnes & Noble took their time developing it in order to be able to compete with both the growing tablet market & the shrinking eReader market. Even with the introduction of the new Kindle and with it being available to actually see now (at Target), the Nook is clearly winning, I think, with the new version. 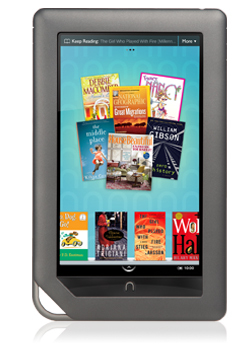 Having tried the original Nook in store, I was always a fan of it over the Kindle simply for that reason. Having gotten to “try” the Kindle at Target, I was not impressed. Now with the NOOKColor, I say Barnes & Noble has the hold on the eReader market at the moment, and I don’t expect it fall from the top any time soon. Bravo, B & N! Now…if only I can get one!! !